Already, the new Homeland Security secretary and Sen. John McCain have gotten off on the wrong foot, the Arizona Republic reports. 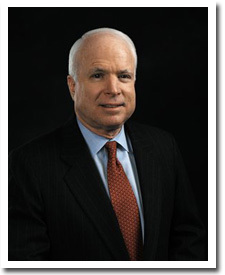 After missing the Senate’s 57-37 vote to confirm Jeh Johnson, McCain said he would have voted against the nomination. Johnson was tapped by President Obama to replace Arizona Gov. Janet Napolitano, who left in September to take a university position. McCain said he’s frustrated with Johnson’s refusal to explain the metric behind measuring the effectiveness of border security. Posted: 12/23/13 at 10:07 AM under News Story.